Having a tough time recalling a phone number someone spoke a few minutes ago or forgetting items from a mental grocery list is not a sign of mental decline; in fact, it's natural. Countless psychological experiments have shown that, on average, the longest sequence a normal person can recall on the fly contains about seven items. This limit, which psychologists dubbed the "magical number seven" when they discovered it in the 1950s, is the typical capacity of what's called the brain's working memory. It's easy to test how much you can fit on this chalkboard. Just have a friend make a list of ten words or numbers. Read the list once, and then try to recall the items. Most people max out at seven or fewer. It makes intuitive sense: as a mental list gets longer, people are more likely to make mistakes or forget items altogether. But why do the clusters of neurons in our brains produce such a small chalkboard? In a paper published on Nov. 19 in the journal Physical Review Letters, Mikhail Rabinovich, a neuroscientist at the BioCircuits Institute at the University of California, San Diego and Christian Bick, a graduate student at the Max Planck Institute for Dynamics and Self-Organization in Göttingen, Germany, present a mathematical picture of how neurons fire when we recall a sequence of steps -- such as turn-by-turn driving directions, the digits of a phone number or the words in a sentence. When we hear the phrase "It was the best of times, it was the worst of times," a cluster of neurons fires during each word. When one cluster fires, it suppresses the others momentarily, preventing the sentence from coming out scrambled. In Rabinovich and Bick's model, the excitation of a certain cluster represents a single point. As the neurons for "It," "was," "the," and "best" fire in sequence, the brain creates pathways from one point, or brain state, to the next. The more powerfully each excited cluster can inhibit or suppress all others in the sequence from firing, the more solid these pathways. "Synapses can't be stronger than that," he said. "The brain is a very complex biochemical machine." Rabinovich's model, Friston said, "is both plausible and compelling." 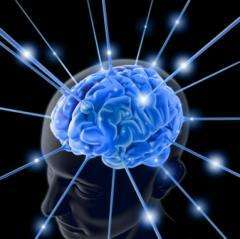 It correctly predicts the working memory's capacity and with a little elaboration could be tested experimentally. Friston said the model suggests patterns in the working memory's activity that should be discernible in the brain's electrical signals. The exception to Rabinovich's model may be autistic individuals who skip effortlessly past seven and eight items, memorizing even a hundred random numbers in a single read-through. Their brains seem to be able to create much stronger pathways than the typical brain. If I use the multiple mentality course by Harry Kahne and the super memory course by Harry Lorayne to remember a list of 100 items backwards, forwards and upside down, does that make me autistic? 'And on the 7th day he rested'. Hmmm. God is looking more and more like a product of the human brain all the time. Why'd he stop there? Seven is the traditional number of completion which is why 666 is supposed to be so nasty. Well, a 'man' was listening to the story and couldn't clearly recollect the other details as he/she was trying to transcript the tale. Stenography hadn't been invented and "Notary Publics" weren't around. Obviously, "666" is the result of stuttering. this is interesting. As a graphic designer I'm keenly focused on the application of this principle. I'd like to hear more about how this theory can be used to engineer "chunking"(chunking is the process of consolidating several discrete simple short term memory elements such as the numbers six and the number zero and the number zero into a single more complex memory element such as six hundred.) It's my theory that by forcing a chunk packaging scheme ideas such as a logo and a tag line will be more memorable. Alternatively forcing a chunking and then presenting the same information in a non-chunkable formation could allow for better memory by creating a relationship between memory elements or have other benefits for communication engineering. There are tricks to extending that number. The simplest is to take Modafinil. That can normally add an extra item. I use this when facilitating meetings. I Always aim for around six topics on the agenda , filter lists down to the six most important items etc. It helps the group focus . Oddly enough, properly done meditation has the capacity to actually build new neural pathways. So it is possible to teach the brain new tricks. People do it all the time. Is it possible that 7year itch in marriage (50% of marriages end at 7years) is somehow connected to this? What about that every 7 years people profoundly change? How about suicide rates are the highest on years 21 or 28 (give or take 1 year, since our internal clocks are a bit off, and are more noticeable the older we get)? How about midlife crisis at 42? Many people know about this and nobody is talking about that. Why is that? You all are reading way too much into this.